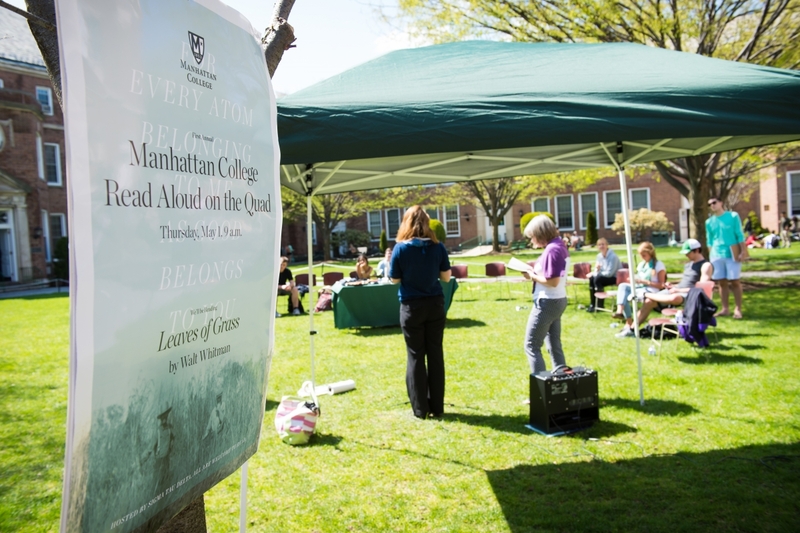 On May 1, there was no maypole to be found at Manhattan College; rather, the campus community celebrated the arrival of spring by paying tribute to American poet Walt Whitman with its First Annual Read Aloud on the Quad event. From 9 a.m. – 5 p.m., volunteers approached the microphone one by one to read from the 1885 edition of Leaves of Grass. Hosted by Sigma Tau Delta, the honor society for English language and literature, the event drew more than 100 students, faculty, administrators and staff, including William Clyde, Ph.D., provost, Richard Emmerson, Ph.D., dean of arts, and Brennan O’Donnell, Ph.D., president of the College, who participated three times. 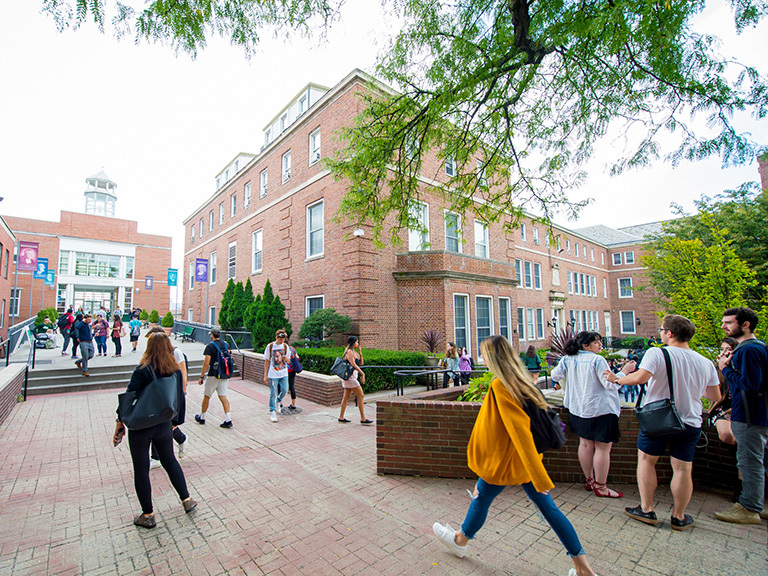 “The event was meant to expose students to the work, pique their interest, encourage them to participate, and ultimately allow them to experience the power of walking among words as they go to and from their classes,” says Heidi Laudien, Ph.D., associate professor of English. 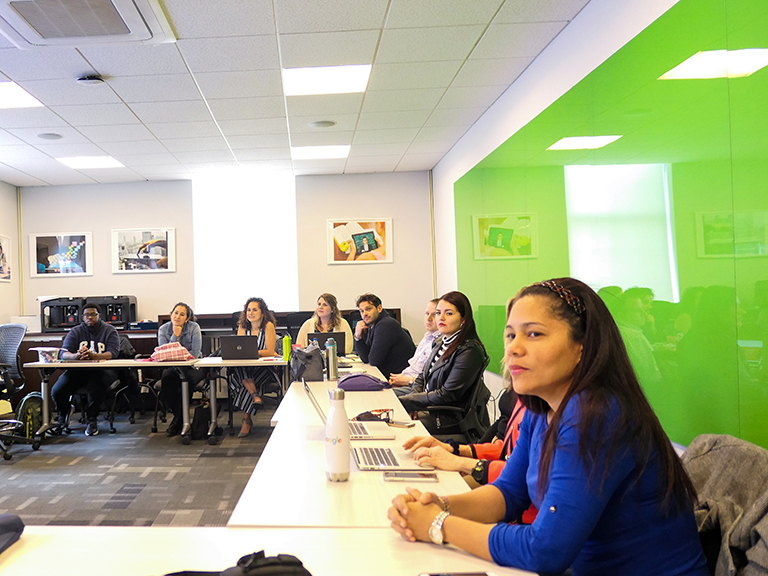 As an educator, she has found that though reading aloud makes text more accessible to students, it is a rare occurrence inside the average classroom. “There is something about the musicality of the language that enlivens the text and lulls the reader into the work — it brings them to a place where they can hear the words on the page and exist in between them,” she says. Carolyn Quest ’14, an English major and Sigma Tau Delta member who helped coordinate the event, says that the experience was both energizing and thought-provoking, and she hopes that rising seniors will continue the event with another text next year.